Fleeting Youth Records have been recent additions to our list of favoured personnel, as their material such as the upcoming album from Le Rug and a free download from Balue both sat pretty well with our ears. This time around however it seems we have fallen in love with the names of the bands partaking in the label’s upcoming split. 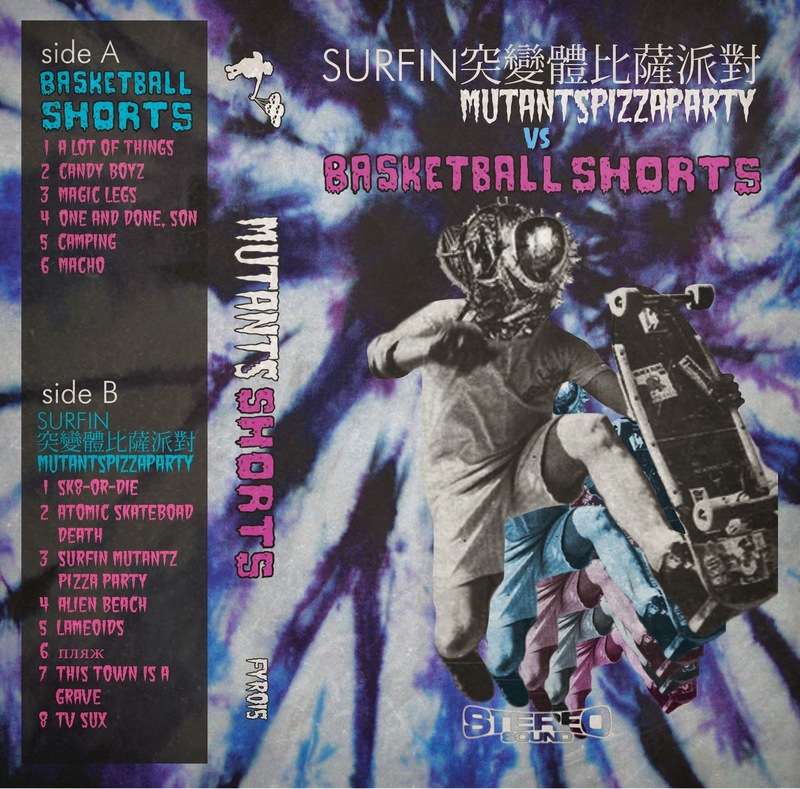 Basketball Shorts and Surfin’ Mutants Pizza Party are superb names for bands, and fortunately the songs released prior to the split are both rather good aswell. Basketball Shorts are a band from Austin, Texas who perform punk music that would go down well at the particularly messy parties that happen every weekend. Their song Candy Boys is a straight up song about somebody having a fancy for some white stuff up their nose, and amongst the whoah ohhhohs and the yeah yeahs this is possibly the most simply fun song ever made. Cocaine’s never sounded so fun. One man band Surfin’ Mutants Pizza Party song of the same name is a minute and a half blast of feel good, summer jams with a lot of distortion and crashing cymbals and riffs and melodies that sounds like the immediate aftermath of submitting to the message of Candy Boys. Both of the songs featured are catchy, enjoyable and easy to get wrapped up into. The split should certainly be entertaining at the very least, as well as possibly telling us to take more drugs. Stream both songs below, and look out for the split on July 22ndvia Fleeting Youth Records. For more music reviews, free downloads and did I talk about drugs too much check out Exploding Head Syndrome on Facebook and Twitter.